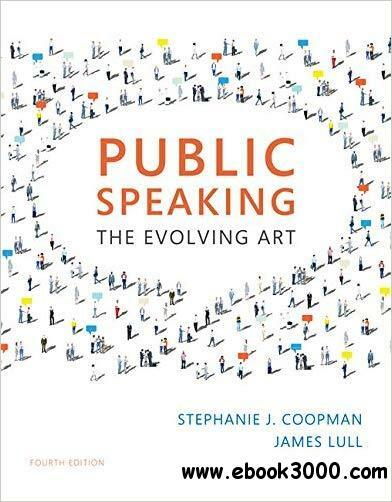 Combining time-test techniques with the latest digital resources, Coopman and Lull's PUBLIC SPEAKING: THE EVOLVING ART, 4th Edition, gives you the tools and knowledge to become a confident, competent, and ethical public speaker in today's media-driven society. Four peer mentors bring text concepts and strategies to life with seamlessly integrated video and animation segments that highlight strategies for successful public speaking. Examples from popular culture include analysis of the public speaking success of Bernie Sanders, Malala Yousafzai, and others, while "Apply It" boxes help you put what you learn into practice outside the classroom.